Save money on tumble drying and look after the environment with this brilliant clothes airer. Perfect for indoor or outdoor use, it is strong and durable so you can leave your washing outside on a warm day and be confident that it will not end up on the floor. With a generous amount of drying space, you can use it for clothes, towels or bedding, with enough room for a whole load of laundry. 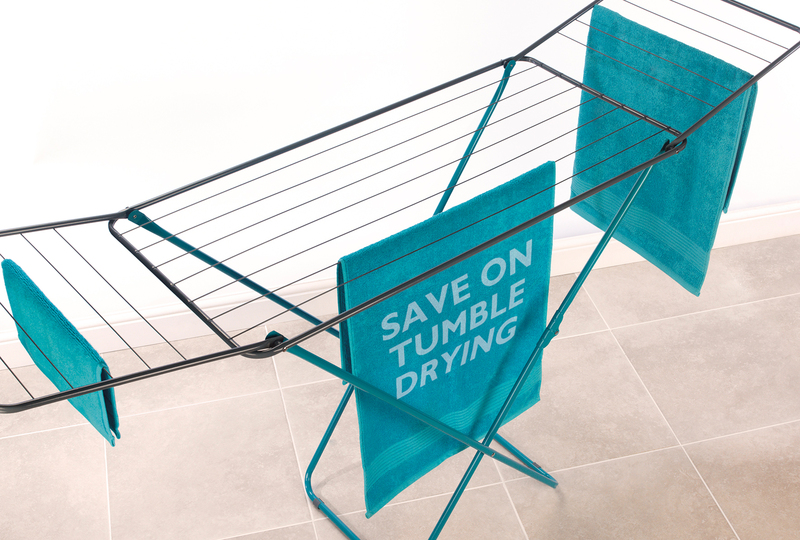 When your clothes are dry and put away, just fold the airer and conveniently store it ready for next time. Dry your freshly cleaned clothes outside in the sun or in your laundry room on a rainy day using this large turquoise Beldray airer. The airer simply unfolds ready for use and is strong and secure, able to hold a large amount of weight to look after your laundry. With a flat top and two side wings, you can position your clothes with a nice amount of space between them so they can dry thoroughly. The line is made from tough 2 mm iron wire which is long lasting and durable, so you can be confident that it will not snap during use. 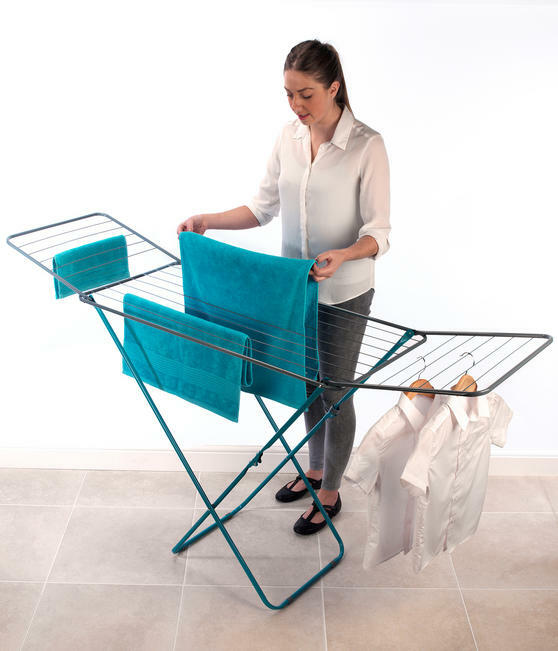 The clothes airer measures 178l x 50w x 100h cm and has a huge 18m of drying space, so you can air your whole load of laundry at once.